Hello, Darlins'. It is time for a big challenge! This challenge has been going on for five years & 10 seasons created by the blog Calling it Home. Linda is such a smart business woman that she trademarked the name and events. 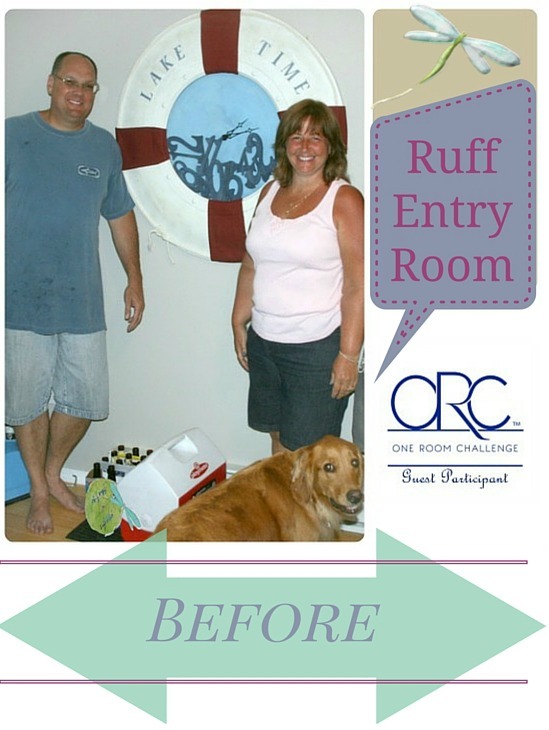 To learn more about the One Room Challenge plus see all the participants progress( Click Here) on Wednesday and Thursday each week. It is my first time participating in the ORC. What is it all about? The tough part is getting it all done on time, photographing the progress while, writing posts each week to share with you. On Thursdays, the guest participants link to the ORC. The great part is sitting back relaxing with a Diet Coke and reading the progress happening during the next six weeks. Plus you will see current designs trends along with more than a 100 rooms in one place to find your dream style. The first week is designing the room I am going work on for the next six weeks. I have an entry way in Michigan which needs some serious attention. When we moved in a few years ago I was amazed by the size of the entry but, it has no storage or function in the room. At our lake home, everything needs to work double time for both form and function. I have had a plan in my head for a while but this opportunity has given me the push to move forward. 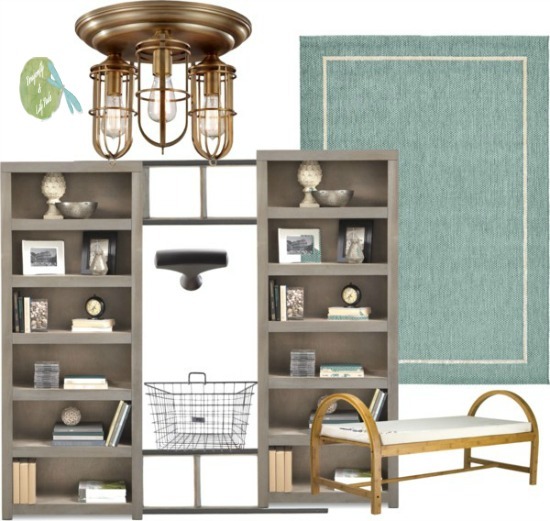 I used the app Polyvore to create the picture above to organize my design. 1. I will be building a wall unit to house storage, jackets and accessories. 2. Vintage gym baskets our local school was throwing out. Free!!! 3. Build a bench out of a maple bed frame from Restore. 4. Purchase Hardware from D.Lawless. 5. Purchase lighting and install. 6. Buy a new brighter rug and accessories. 7. Install Surprise element I have been collecting for over a year. This picture shows how we bring all the supplies in the door where they quickly up on the floor. This picture was taken the day I made the Lake Time clock. Since our house is in Michigan and I am in Illinois this was the only picture I could find to demonstrate the before of our entry room. I promise to take more this weekend when I begin the room. Get ready for a wild ride because the next six weeks will be crazy. Remember each Thursday is ORC day on this blog. Then be sure to visit many blogs taking on this challenge by clicking on the link above. Connecting with you is fun for both of us. Please join me on the Social Media below. Love the plan! Can't wait to see how it turns out. Awesome deal on the locker baskets!